Bring your boat's audio to life and experience full-range sound with the XS-MP1650W marine component speakers. A 6.5" polypropylene woofer cone, 1" polyetherimide (PEI) dome tweeter and ferrite magnet offer great power handling while delivering crisp, clear audio. 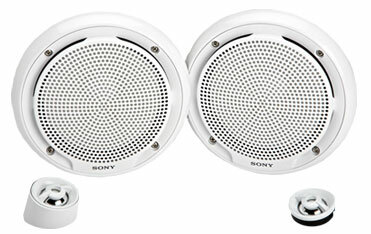 Plus, these speakers are UV and salt water resistant and handle up to 180 watts of peak power. Depth (Approx.) : 2 1/2"